Find out what the Sprout is all about! The Bank of Kensington, as it was known at its inception, was founded in 1898. It was determined that Kensington was a thriving railroad community but needed a bank according to a newspaper article in 1894. Four years later the bank was founded, and a brick building was raised on the corner of North Central Avenue and Pacific Street where the bank now stands. It was in this building that the Kensington Rune Stone was first displayed after its discovery in 1898. In 1909 the bank was incorporated as a state bank thus becoming the First State Bank of Kensington. In 1923 the original bank building was moved to the North 25’ of the bank lot and a new bank building was constructed. This building was added on to in the 1970’s. In 1986 the original bank building that stood North of the bank and was at that time used as a beauty shop, was demolished to make room for a large addition that doubled the size of the bank building. This is how the building stands today. Kensington is located in the Southwest corner of Douglas County and has a population of 292. 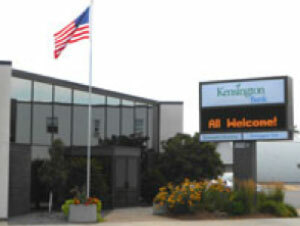 A primarily agricultural area, Kensington is proud to maintain a busy main street and the South Elementary School of the West Central School District. 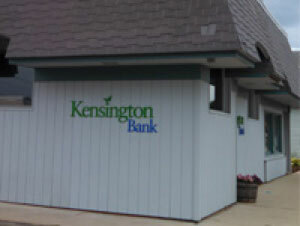 In 2012 First State Bank became Kensington Bank. State Bank of Cokato was founded in 1892 in Cokato, MN. A rail station was established in Cokato in 1869 and the town began to grow into a bustling village. Soon residents were feeling the need to establish a bank to keep up with surrounding communities. It took until 1892 to get this accomplished. The first office of the State Bank of Cokato was situated in the end of a larger building that provided a location for the business but not much else, including heat according to stories from the past. The bank relocated to a two story building in 1894 and quickly outgrew that space. 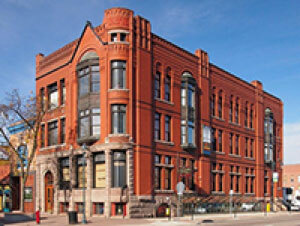 In 1899 the bank built a substantial building touted to be the “finest building for its purpose West of the Twin Cities”. After remodeling in 1961 the bank building remained in use until 1983 when the present bank building was erected across the street. In 1992 a tornado caused some damage to the building. At that time as well as in 2000 and 2014 major remodeling projects were undertaken. The bank is situated at the corner of Broadway and Third Street in Cokato, population 2694, a manufacturing and farming community in Wright County, 40 miles West of the Twin Cities. 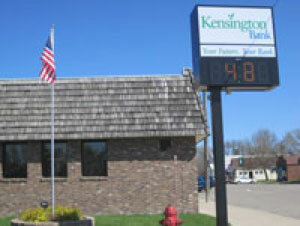 The State Bank of Cokato became Kensington Bank on April 1, 2012. The First National Bank has played a vital role in the community’s history for over 100 years. As Kensington Bank, it remains a local, independently owned bank. It was originally opened by Rodney Hill and Ernest E Peck in 1901 as the People’s Bank. The People’s Bank was reorganized as the First National Bank of Herman on January 4, 1906. The original site of the First National Bank and People’s Bank is across the street to the East of the present bank building. In 1914 the board decided to build a new bank building on the current site. The total bid for building the bank was $7,665 and it took 5 months to build. Over the years the upstairs offices were rented to a dentist and a lawyer. The first years of operation were difficult for the bank due to poor farming conditions and the bank had to borrow money to keep operating. The bank then was able to extend the lending period for farmers to help them get back on their feet. The strategy worked, and the bank was able to remain in business. Jerome Peck became involved with the bank during this time and the Peck family was proud to bring the bank through the Depression without closing the doors as many banks did. The Peck family owned the bank until 1970 when it was sold to Russ Hepola who was the President until 1991 when the presidency was passed on to Ken Werk. On August 15, 2014 Kensington Bank became the owner of the First National Bank of Herman. Kensington Bank Loan Production Office is located on the second floor of the Historic First National Bank of St Cloud building at 501 West St. Germain Street in downtown St Cloud, Minnesota. This beautiful, old building is on the National Register of Historic Places. It housed the first bank in Central Minnesota from 1889 to 1925. Since it was first established it had been added on to, doubling its size in 1918, renovated in 1957, and has been home to a significant number of prominent businesses. Presently other businesses are located on the first and third floors as well as a long-established restaurant in the lower level. The building has recently gone through an extensive renovation and features many outstanding, historic design elements. A few of the original 14 fireplaces remain and traces of the first teller line are visible on the main floor.